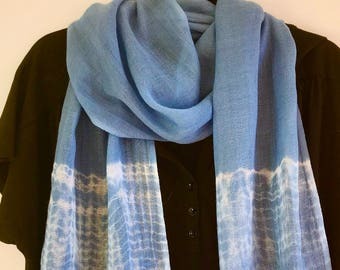 Announcement MOTHERS DAY SALE: Free shipping on all scarves and shawls in my Botanical Prints and Shibori Textiles sections, thru May 15, 2019. Use code FREESHIPPING at checkout. 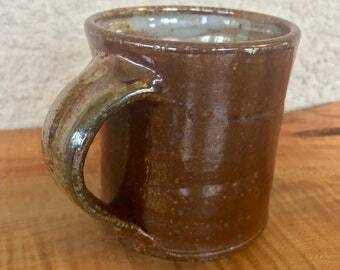 Handmade functional pottery, primarily wheel-thrown and soda fired. 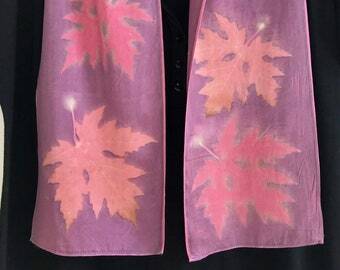 I've also "branched out" with botanical printed silk scarves. Thanks for visiting! 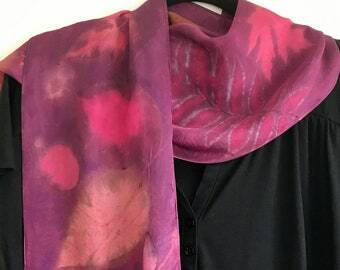 MOTHERS DAY SALE: Free shipping on all scarves and shawls in my Botanical Prints and Shibori Textiles sections, thru May 15, 2019. Use code FREESHIPPING at checkout. WOW! This Sake Set is exactly as represented only more beautiful in person. My friends will love their gift! Thank you for such speedy shipping and excellent packaging. WOW! I love this Silk Scarf. Diane is a very talented artist. Thanks for the fast secure shipping. 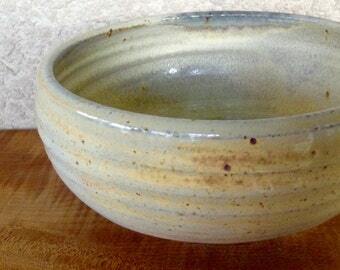 I love the color and quality of this bowl! 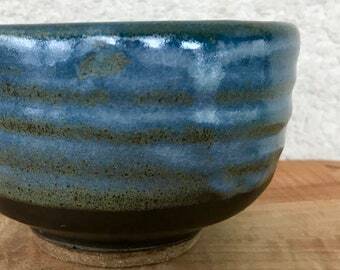 The gray glaze has a bluish tint to it in my opinion. 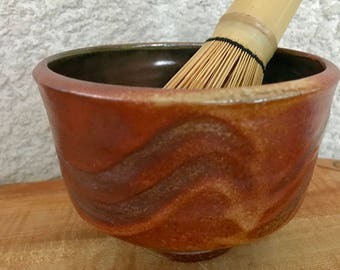 I use it daily to make and drink my Matcha. The rim is smooth and not too thick. 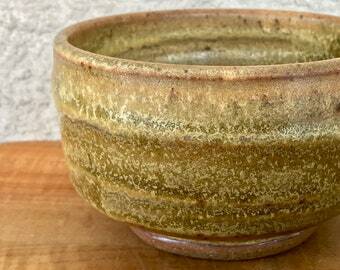 Just added some new winter pots, fresh from the kiln. I turned my focus from my botanical printed textiles to clay this winter, a good time to hunker down in the studio. It was an Indigo blue sort of day! 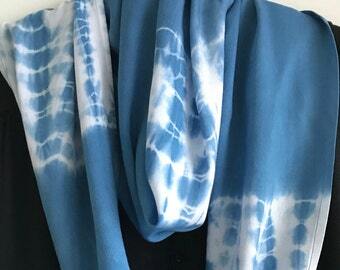 All day Shibori resist tying and dyeing in the magical indigo vat. Indigo blue originally came from indigo plants. Usually grown in more tropical climates, I did grow them as an annual here in Minnesota one year. 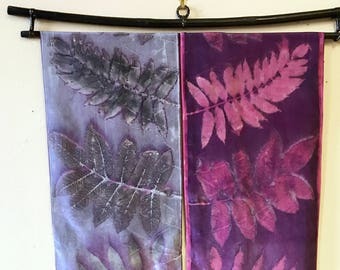 Mother's Day Gift Idea: An eco printed silk scarf that can be used as an elegant wall hanging when it's not being worn! 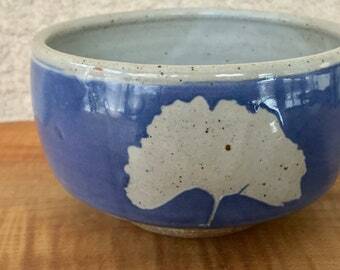 Perfect for a gardener or nature loving mom. This wall hanging, "Light and Shadow", was created with 2 mirror image silk scarves. Throwing with my feet at the Clay Olympics at the Northern Clay Center. Hilarious! Always exciting to open up a soda kiln after it cools down. My piano displays favorite pots and photos. I'm either going to have to sell off some pots or buy more pianos soon! My warm weather setup for natural dyeing and eco printing in my Minnesota backyard. 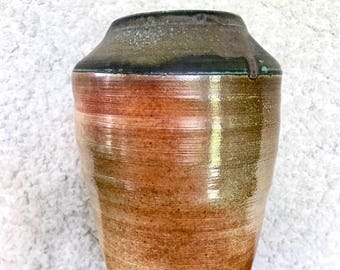 Sometimes it amazes me to realize that I've been making pots on and off for at least 40 years, fitting it into the spaces around career, family and other interests. In 2012 I decided to take early retirement to focus on my creative/artistic interests. 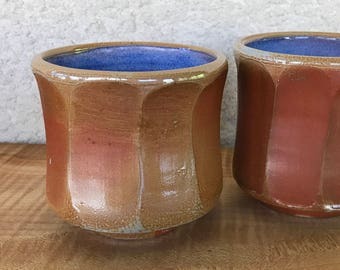 Boxes of pots were starting to pile up; and with my aging knees, pottery and art fairs just aren't a good combo, I launched my Etsy shop in June of 2014. 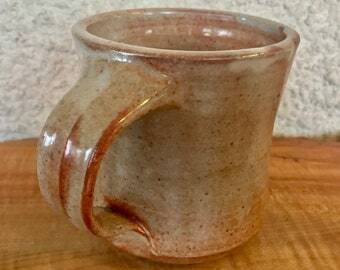 I studied with Warren MacKenzie at the University of Minnesota, whose approach to pottery I resonated with and was strongly influence by. 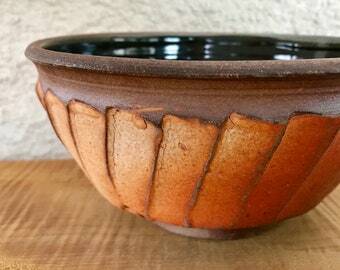 Warren and some students' work are sometimes referred to as the "Mingei-sota" style, influenced by Mingei pottery. 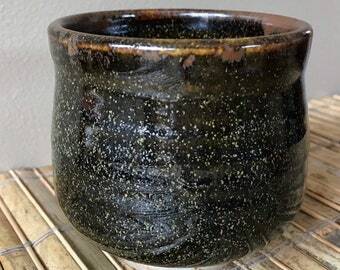 The pots I love to make and use are those that retain some of the fluid quality of the wet clay, show the hand of the maker, and often possess a "wabi-sabi" esthetic, where beauty and interest is seen in the imperfections. (See Wikipedia excerpt below.) Off and on I take classes or rent studio space at the Northern Clay Center in Minneapolis, Minnesota. I'm also a member of the Vine Arts Center, a member-run gallery in south Minneapolis. My creative energy has been "branching out" to botanical / eco printing and exploring natural dyes on textiles. 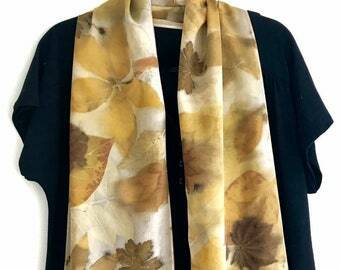 I have always loved gardening, natural dyes, the beauty of leaves and patterns in nature, and eco printing brings all those elements together. In eco printing, the pigments and natural dyes in leaves are transferred to fabric by prolonged steaming or simmering in a dyebath. 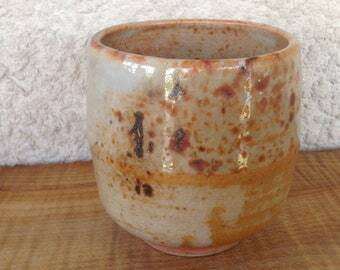 Wabi-sabi represents a comprehensive Japanese world view or aesthetic centered on the acceptance of transience and imperfection. The aesthetic is sometimes described as one of beauty that is "imperfect, impermanent, and incomplete." 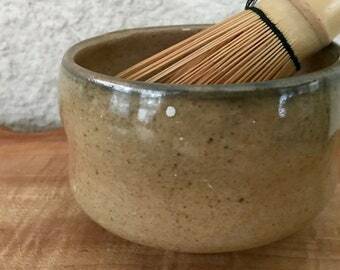 Wabi now connotes rustic simplicity, freshness or quietness, and can be applied to both natural and human-made objects. It can also refer to quirks and anomalies arising from the process of construction, which add uniqueness and elegance to the object. 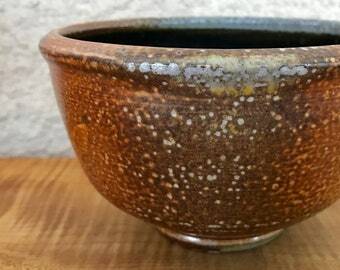 Sabi is beauty or serenity that comes with age, when the life of the object and its impermanence are evidenced in its patina and wear, or in any visible repairs. 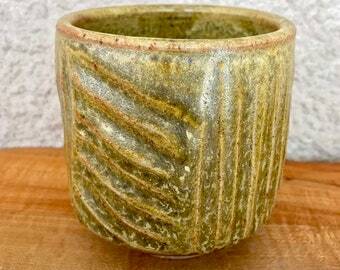 I studied clay at the U of MN where Warren MacKenzie had a strong influence on my "Mingei-sota" aesthetics. I fire at the Northern Clay Center in Mpls. I also enjoy getting outside with my camera and have been "branching out" to eco printing on silk.